more art works from Mark PRESTON. The Walker Art Gallery is one of the UK's major Art Galleries. 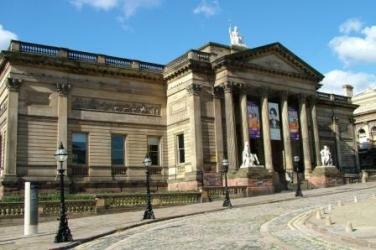 It is located in Liverpool and houses Liverpool's outstanding art collection. Many of the art gallery's most important works have been on display in the city for nearly 200 years. The history of the Walker Art gallery and its collection reflects the people of Liverpool's commitment to and appreciation of the arts. Well known art works include stunning renaissance masterpieces and one of the best collections of Victorian and Pre-Raphaelite art in the country. Visitors will recognise many other much loved art works such as 'And when did you last see your father?' and the famous Tudor portraits. The 20th century saw rapid and dramatic developments in art, both in form and conception. The move away from figurative and narrative painting towards more abstract styles is reflected in the Walker Art Gallery's collection. Many modern art pieces in the gallery collection are a result of the John Moores Contemporary Painting Prize. First held in 1957, the John Moores Contemporary Painting Prize is one of the UK's best-known painting competition and is named after Sir John Moores (1896 - 1993), the founder of the art prize. 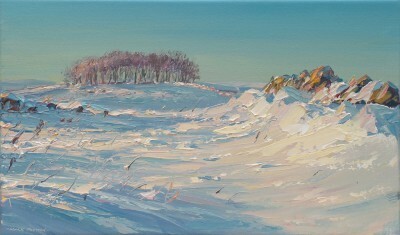 The competition culminates in an exhibition held at the Walker Art Gallery every two years. The principle of the John Moores art exhibition are to support British artists and to bring to Liverpool the best contemporary painting from across the UK. 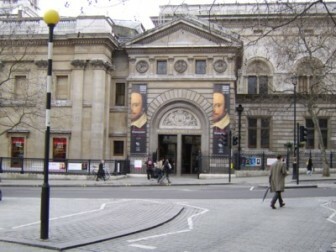 The Gallery was founded in 1856 to collect portraits of famous British men and women. Although the majority of the art collection contains portraits from the 17th, 18th and 19th century there is also a large selection of contemporary British portraits from 1990 to the present day, some of which are on display at the Gallery. Red Rag British artists with art works in the collection include: Paul Brason and David Cobley. The Primary Collection of the National Portrait Gallery contains more than 11,000 portraits. Of these about 4,000 are paintings, sculptures and miniatures, approaching 60% of which are regularly displayed. In addition, there are almost 7,000 light-sensitive art works on paper, shown on a rotating basis of about 300 items a year. The Gallery also holds a Reference Collection and a Photographs Collection. The concept of a Primary Collection of paintings, sculpture, miniatures, etc., and a Reference Collection or study collection of prints, was established immediately following the Gallery's foundation in 1856. These collections were later extended to include photographs. The collections fulfil two enduring functions: to display portraits of the British Nation's great men and women; to act as a national focus for the study and understanding of portraits and portraiture. The Gallery acquires portraits from the life in all media, whether by purchase, bequest or gift, of the most eminent persons in British history from the earliest times to the present day. Since 1980 the Gallery has also commissioned portraits. Acquisitions are subject to the approval of the Board of Trustees which meets four times a year. The Gallery's formal collecting policy is set out in the Acquisition and Disposal policy. 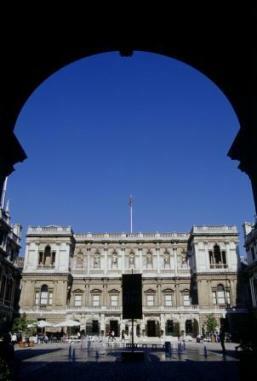 The Royal Academy of Arts (RA) is one of the UK's best known British Art Galleries. It has a unique position in being an independent, privately funded institution led by eminent artists and architects whose purpose is to promote the creation, enjoyment and appreciation of the visual arts through exhibitions, education and debate. The Academy was founded in 1768. The 34 founding Members were a group of prominent British artists and architects including who were determined to achieve professional standing for British art and architecture. They also wanted to provide a venue for art exhibitions that would be open to the public; and to establish a school of art through which their skills and knowledge could be passed to future generations of practitioners. The Academy today continues to aspire, in the words of its eighteenth-century founders, 'to promote the arts of design', that is: to present a broad range of visual art to the widest possible audience; to stimulate debate, understanding and creation through education; and to provide a focus for the interests of artists and art-lovers. One of the founding principles of the RA was to 'mount an annual art exhibition open to all artists of distinguished merit' to finance the training of young artists in the RA Schools. Now known as the Summer Exhibition and held every year without interruption since 1769, the exhibition attracts around 10,000 art works. Tate Britain is the national gallery of British art. Located in London, it is one of the family of four Tate art galleries which display selections from the Tate Collection. The other three art galleries are Tate Modern, also in London, Tate Liverpool, in the north-west, and Tate St Ives, in Cornwall, in the south-west. 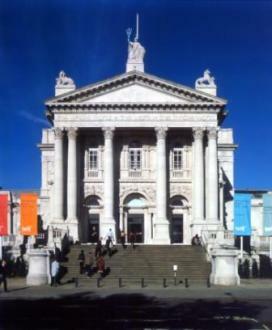 Tate Britain is a centre for the understanding and enjoyment of British art and art works actively to promote interest in British art internationally. The displays at Tate Britain call on the greatest collection of British art in the world to present an unrivalled picture of the development of art in Britain from the time of the Tudor monarchs in the sixteenth century, to the present day. The art collection comprises the national collection of British art from the year 1500 to the present day, and international modern art. Some of the highlights of the Tate collection of British art include rich holdings of portraiture from the age of Queen Elizabeth I; of the work of William Hogarth, sometimes called the father of English painting; of the eighteenth-century portraitists Gainsborough and Reynolds; of the animal painter George Stubbs; of the artists of the Pre-Raphaelite Brotherhood who revolutionised British art in the nineteenth century; and in the twentieth century of the work of Stanley Spencer, Henry Moore, Barbara Hepworth, Francis Bacon and the Young British Artists (YBAs) of the 1990s. The very latest contemporary art is presented through the Art Now programme and the annual Turner Prize exhibition. The displays at Tate Britain feature selections from the Tate collection of British art arranged in a broad chronological sweep from 1500 to the present. Within this chronology individual rooms explore particular themes or show one artist in depth. In order to show the full riches of the collection, displays are changed on an annual basis. These changes are made possible by the support of BP. Each room has an introductory text and each work has a short introductory caption. British artists with paintings in the Tate collection include: Charles Hardaker , David Inshaw and Janet Ledger .